Greg and the staff at Emporia Physical Therapy opened PT Associates of Emporia July 1, 2014. He arrived in Emporia in 1988 and opened Emporia Physical Therapy in 1989 in collaboration with Newman Memorial County Hospital. Prior to his move to Emporia, Greg worked for five years in Mattoon, Illinois and for two years at St. Joseph Medical Center in Wichita. 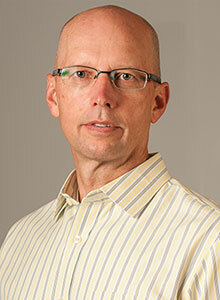 He graduated from Wichita State University with a degree in physical therapy in 1981. Following graduation, Greg worked extensively in neurologic rehabilitation prior to specializing in orthopedic physical therapy. He has over 30 years experience managing a wide variety of musculoskeletal conditions with an emphasis on mechanical back and neck pain and headaches. 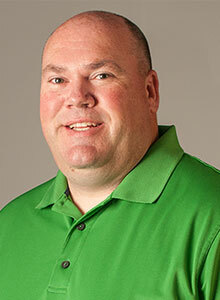 Greg has experience managing on-site industrial work injury and prevention programs. He has worked with athletes from local, state and national levels of competition. Karen graduated from Wichita State University with a physical therapy degree in 1980. She is a member of the American Physical Therapy Association with section membership in the orthopedic, sports, pediatric and geriatric sections. Following graduation, Karen worked for 3 years at St Joseph medical Center in Wichita, which included work in the birth to age 3 outpatient program. She then worked for 5 years at Sarah Bush Lincoln Health Center in Mattoon, Ill prior to moving to Emporia in 1988. Karen’s experience in Emporia has included work in an inpatient setting, outpatient setting, home health and with the Flint hills and Chase county special education cooperatives. Karen has experience working with many patient populations over the past 34 years. This includes experience in neurologic rehabilitation, acute and out patient orthopedics, home health, wound care, post-surgical rehabilitation, and general deconditioning. 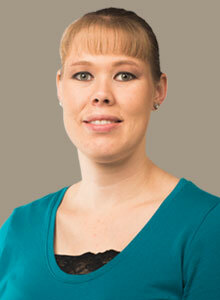 Her areas of interest include pediatrics and general orthopedic physical therapy. She enjoys working with geriatric patients to improve balance and prevent falls, for general deconditioning and for rehabilitation of upper and lower extremity problems including joint replacement. Dawn began her employment with PT Associates of Emporia in July of 2003. She graduated with a Masters’ degree in Physical Therapy from Wichita State University in 2000. 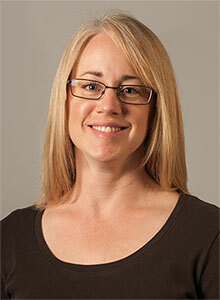 Dawn specializes in sports medicine and industrial rehabilitation. She treats all out-patient diagnosis to include but not limited to: joint replacements, strokes, dizziness and custom orthotics for foot dysfunction. She believes in a hands-on approach focusing on manual therapy and therapeutic exercises to help patients return to their prior level of function. Dawn looks to use her collegiate athletic experience to help get athletes back on the playing field/court. She participated in basketball and track and field at Washington State University and Emporia State University. Dawn was an 1996 honorable mention in women’s MIAA basketball while at ESU and placed in discus at the 1997 ESU MIAA championship track meet. Sports are important in her life outside of the clinic as well. She enjoys spending time with her two children whom are very active in sports and her husband Lanny who is head coach for track and girls basketball at Northern Heights High school. In her spare time she enjoys working out and cheering for the Hornets and Kansas State Wildcats. 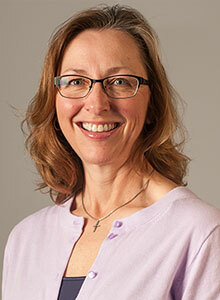 Lynnette received her Bachelor of Science from Emporia State University in 1992 and her Master of Science in Physical Therapy from the University of Kansas Medical Center in 1994. She is a member of the American Physical Therapy Association and is an APTA Certified Clinical Instructor. During her 20 year practice, she has developed a special interest in the geriatric population. 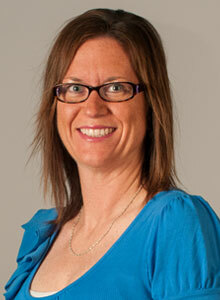 Lynnette specializes in treatment of patients with arthritic conditions, joint replacements and vestibular disorders. Lynnette is a certified APTA clinical instructor. As the Clinical Coordinator of Clinical Education she manages physical therapy students that choose to use PT Associates of Emporia as a site for their clinical education. Megan joined the staff at PT Associates of Emporia in September 2015. Megan is a Kansas native growing up in Overbrook. After graduating from Santa Fe Trail High School she attended Cameron University in Lawton, OK where she played volleyball and basketball. 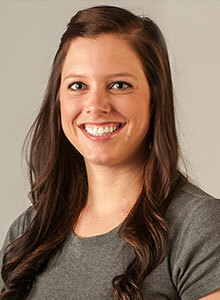 Megan graduated from Cameron with a Bachelor's degree in Athletic Training in 2002. She then attended Murray State College and graduated in 2003 with her Physical Therapy Assistants degree. Megan has spent most of her career working with the geriatric population in long term care as well as home health where she treated a variety of diagnoses ranging from strokes to knee and hip replacements. She also has experience in the outpatient setting working with a variety of age groups and this enables her to incorporate her love of athletics when working with athletes to get them back on the court/field. When Megan isn't working she enjoys spending time with her husband and two kids. Rachael was born and raised in Emporia. She graduated from Bethel College with a Bachelor of Science in Athletic Training degree in 2011. Following graduation, she passed the Athletic Training National Boards, and became a certified Athletic trainer. She has been a member of the American Physical Therapy Association since 2011. In May 2014, Rachael graduated from Wichita State University with a Doctor of Physical Therapy degree. Rachael’s clinical experiences include Pediatric Early Intervention, Outpatient Orthopedic and Inpatient Acute Care. Her interests include Sport rehabilitation and Injury prevention along with Pediatric, general orthopedic and geriatric physical therapy. Rachael ‘s return to Emporia is a major asset to PT Associates of Emporia. In June of 2014, Rachael returned to Emporia to join her parents Greg and Karen Bachman in their Physical Therapy practice. Brett is originally from the Lewis, Kansas area and is a 1998 graduate from Emporia State University with a Bachelors Degree in Biology with an emphasis in Pre-Physical Therapy. He competed for the Hornets in track and field while attending ESU. 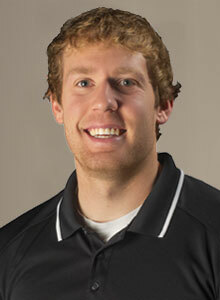 In 2003 he graduated from Wichita State University with a Masters Degree in Physical Therapy. After receiving his masters degree, Brett went to work at Southwest Rehabilitation and Fitness in Liberal, Kansas. He spent 7 years in Liberal prior to returning to Emporia in 2010 to work at PT Associates of Emporia. Brett’s wife June Ary, who is a physical therapist with the local school cooperative, enjoy their time with their three boys. Corey grew up in Burlington, KS. He attended Ottawa University from 2009-2013 where he received his bachelor's degree in Exercise Science from Ottawa University. Corey was a 4 year starter on the Men’s Basketball Team at Ottawa as well. After graduating from Ottawa, he attended physical therapy school at the University of Kansas Medical Center where he graduated with his Doctorate of Physical Therapy degree in 2016. His clinical experiences included Outpatient Orthopedics, sports rehabilitation, and inpatient rehabilitation. Upon graduation, Corey began working at Neosho Memorial Regional Medical Center where he worked as an Outpatient, Inpatient, and Home health therapist for two years. Corey joined the staff at PT Associates of Emporia in June of 2018. His main interests are generalized orthopedics, sport rehabilitation, geriatric and neurological rehabilitation and dry needling. Kelsie was born and raised in Olathe, Kansas. She attended the University of Central Missouri, graduating in 2013 with a Bachelor of Science in Health Studies degree. While at UCM, Kelsie was a four-year starter and team captain for the women's soccer team. She then went on to graduate from the University of Kansas Medical Center in 2016, receiving her Doctor of Physical Therapy degree. Kelsie's clinical experiences include outpatient and acute inpatient rehabilitation. Following graduation, Kelsie spent two years working with the Tallgrass Creek outpatient rehabilitation team located in Overland Park, KS. 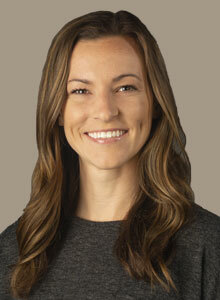 Her clinical interests include general orthopedics, return to sport rehabilitation, and neurological rehabilitation. She is a current member of the American Physical Therapy Association. Kelsie and her husband, Bret, are excited to be joining the Emporia community. In her free time, she enjoys quality time with friends and family, traveling, physical fitness, and cheering on the ESU Hornet's baseball team.